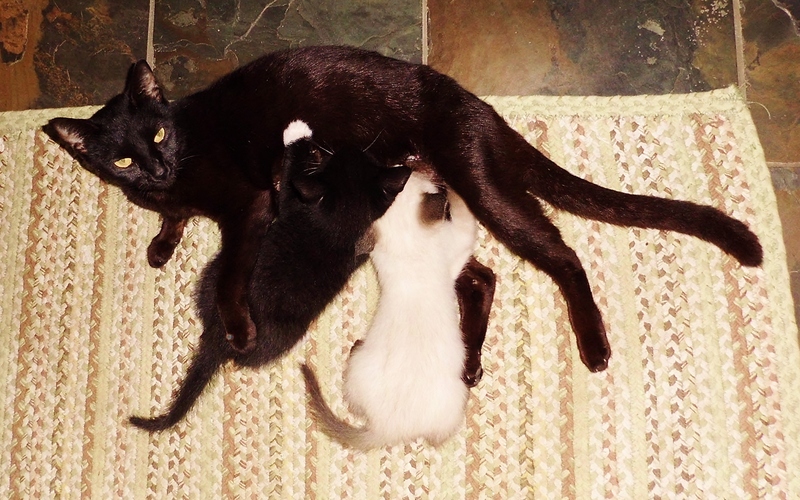 OK, two more Kittens plus Mommy Lori went back to the shelter yesterday. Now we’re down to three babies: Matilda, Harry & Mulder. I’m starting to wonder if I’ll be able to take Mulder back when the time comes. I promised myself I wouldn’t keep another foster kitten, but my resolve is weakening. It would be so nice if someone I knew adopted him so I could watch him grow up and visit the little guy once in a while. 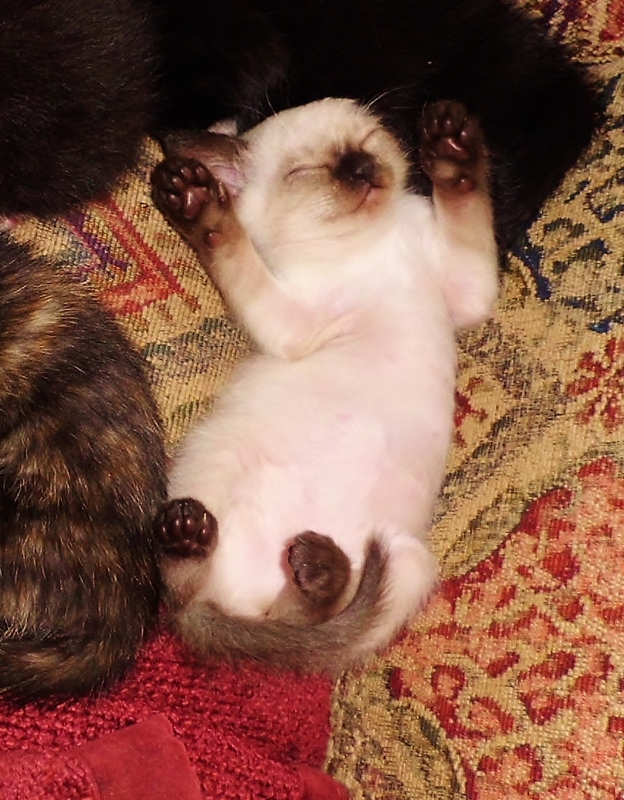 I’m not too proud to use less than honorable methods to get my way, (ask Jim) so here is a series of heart-melting pictures of the cutest kitten in Alabama. Gird your loins! 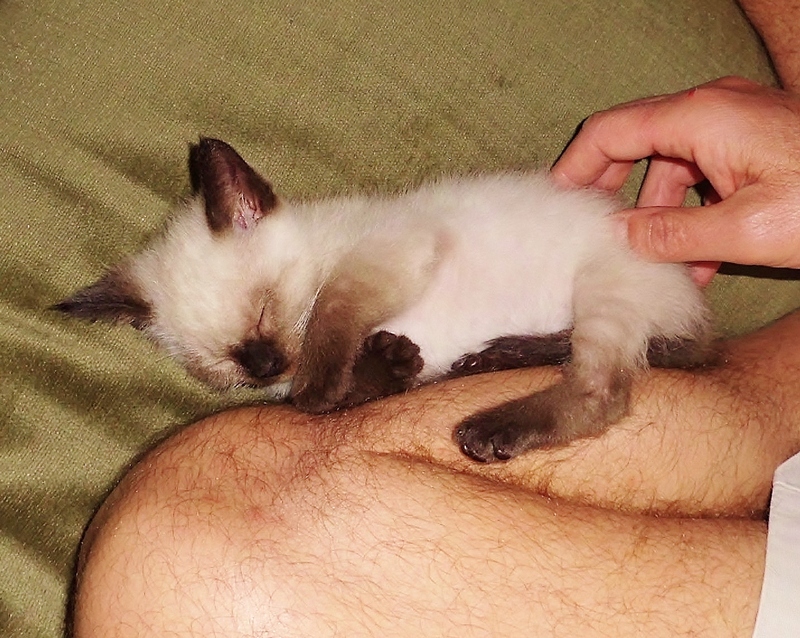 Jim’s hairy leg almost feels like Mommy! 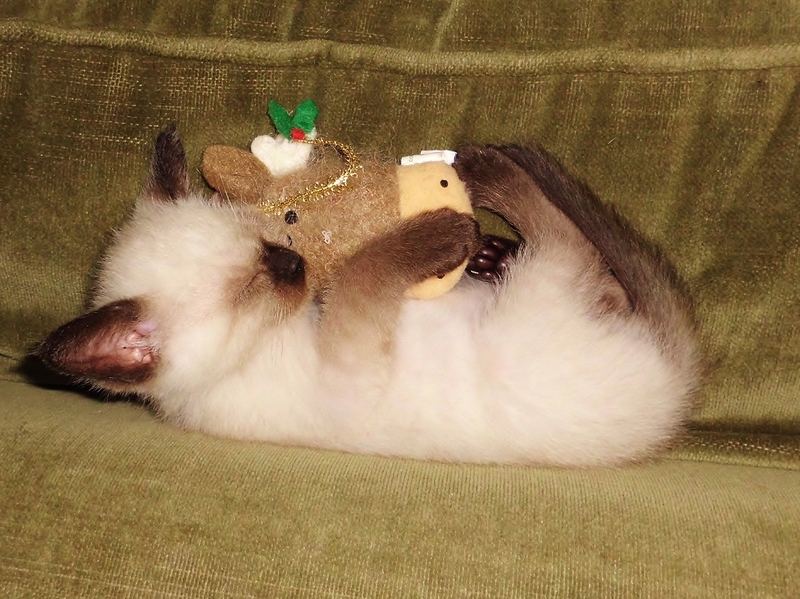 He likes to hug toys when he sleeps. OK, now I’ll just have to break out the big guns! HOW CAN YOU RESIST THIS, YOU HEARTLESS HUMANS??? Deb, you’ve got to keep him because you really need something to write about. We love your posts – please keep him!! !